'The Journey to the East' by Hermann Hesse: my understanding of this esoteric book. The journey of life is undescribable because it exists and operates on many different dimensions at the same time. There is the hard physical reality. Material existence, then there is, the story that we hold in our minds of all that exists and occurs around us, our interpretation, the narrative that we write, and often we do not even realise that we are the authors of it. Then there is the magic of life. It does those elements of existence which connect us to a higher form of being- things like love, truth, poetry, music, literature, art, higher purpose, humility, gratitude, openness to grace, acceptance of what is as it is, heeding the call of your soul, believing in a greater cause and purpose for existence. Those are the things that help us step into a higher dimension of existence. This celebrated book by the Nobel laureate, Hermann Hesse, somehow manages to touch upon reflect and express certain truths about all these three aspects of the journey of life. It is a difficult task skillfully done with the help of various esoteric allusions and mystical references. The narrator H. H. is trying to recall a part of his life when, as a youngster, he had joined a League of extraordinary characters. The League was very ancient and it counted amongst its members Zoroaster, Plato, Xenophon, Pythagoras, Albertus Magnus and also persons who we only know as fictional characters such as Don Quixote, Tristam Shandy, dawn and Puss in Boots. H.H. and some of his contemporary League members undertook a journey to the East, which they believed was a journey not just through geographic areas, but also through time and through reality itself. Many decades later, the now aged Hermann Hesse recalls the journey being a failure. H.H. sadly reminisced that the league had died a long time back, but in his heart as he looked back at his life, he found that the most meaningful part of his life had been his short journey with the League. In an effort to find meaning in the life he had lived, H. H. set out to write a book about this magical journey and the wondrous League. Writing the book was more difficult than H.H. had anticipated, because firstly his memory had been blunted by age, secondly, he was bound by a vow of secrecy to the League, and thirdly, so many of his experiences during the journey was so fantastical that he could not even himself be certain if they were actually true or just figments of his later imagination. Still, while trying to write this book Hermann Hesse found that after ages, he was once again feeling what he had felt long back during his journey to the East, it was the feeling of travelling in the dark, not knowing the direction not having the slightest prospects yet within his heart having something stronger than reality or probability. That something was faith in the meaning and necessity of his actions. It was this that helped him find his way forward again. While trying to gather information for writing his book, ultimately, H. H. discovered that the League had not failed or dissipated at all. It was he who had given up his belief in the League during a test which the League had conducted. The test was that when this happy band of League members was in a particular Swiss district, the most well loved and prominent servant Leo disappeared. Leo was in fact not a mere servant, but he was the man who had managed the cohesion and progress of the group, most subtly and unobtrusively. This is inferred from the fact that after the disappearance of Leo, the very purpose and sense of cohesion left the group. They began to fight with one another, and the journey dissipated. Therefore, they failed the test. This reminds me of how people sometimes experience moments of higher consciousness. They're shown this by seeming acts of Grace, such as a moment of deep realisation of the truth, feeling unconditional love and fearlessness, but they feel them and walk right through them, unable to capture the essence of what they have been shown, or to find it again within themselves. To me, for now, this is the message of 'The Journey to the East'. To find what you seek 'within', and to never forget that life can be multi-dimensional, where the mundane and the extraordinary exist on the same plane together. As long as we allow the magic of life to occupy the most important space in our life, (our mind), every bit of our life can be meaningful, pleasurable and in sync with the music of existence. Hermann Hesse ultimately finds Leo again and discovers that he is not a servant but the President of the League. H.H. is told by Leo that the test he had failed has now been passed by him after all these years. The novel ends in a typical Hermann Hesse mystical mysticism, wherein H.H. is told that he must now pass another test where after he will become an official in the League. The test is to look at what the League's record says about him and his actions during the journey. What he find is an allusion to the fact that life, it's greatest achievements and it's greatest realisations are all very transient. Having recently entered into a course of self-study, trying to understand the vast and varied culture of my great nation, I enrolled myself for a short introductory course by acclaimed Mohiniattam doyenne from Chennai, Vidushi Gopika Varma, from the royal family of Travancore. Mohiniattam literally means the ‘Dance of the Enchantress’ but like all other classical dances of India, its basic overtones are of devotion and worship to God. It was a happy experience, learning the various mudras of this classical dance form. Each mudra depicted an inner feeling, an outer situation, and a moment in time. Overall it is a complete language in dance form, a communication that entertains, informs and educates at the same time. I was impressed by the effort but the same time baffled as to how this language of dance would survive? How it would overcome this challenges which lay before it ? The answers are, through adaptation and evolution, and by adding 'over and above the traditions' communication factor to its. If you want it to be enjoyed and understood nationally or internationally you have to give it a more national and international spirit as we retain its traditional soul. While classical dance forms of South India such as Bharatnatyam, Mohiniattam, Kathakali etc. have loyal followers in the South, in North India, they are much less known and even lesser understood. Most people would not even be able to tell the difference between Bharatnatyam and Mohiniattam. While in South India, huge classical dance fests are organized and each performance is closely and ruthlessly reviewed in the next day’s newspapers, in the North, the next day’s coverage is usually restricted to a photograph of the performer along with a caption “A Mohiniattam performer at … theatre”. Sometimes even the newspapers get it wrong and call it Bharatnatyam by mistake. These classical dance forms are important building blocks of our culture. In order to ensure long term sustainability for them, they must go national and global. To do this, firstly, the themes must become more contemporary. Currently almost all performances are done around traditional mythological themes. Only an audience well versed with the stories of Ramayana and Mahabharata can actually follow and enjoy the performance. Once in a while a performance is done on Gandhi or Tagore and even these are few and far between. New themes like global climate change, War, terrorism, trans-national migration can be challenging and rewarding themes of performance for current exponents. It would help them connect to the wider national and global audience. Secondly, There needs to be more of dialogue and discourse before and during a performance if the audience is not very well versed with the dance form. This should be done even at the cost of taking up precious performance time to help the audience, especially the young audience understand and grasp the nuances. We cannot forget that we live in the land of Demographic Dividend. This young nation and its young people are accustomed to having ideas sold to them and the elder generation must put all efforts to help them understand, appreciate and connect deeply to classical music and dance. Thirdly, the style, expression etc. must evolve to meet the demands of audio-visual media. Classical dances such as Mohiniattam were originally designed to be performed on stage in a Durbar or Temple. The only lighting was huge lamp holders on two sides of the stage. Therefore, the expressions make up and movements were loud, highly exaggerated and larger than life. In that low light, all this looked dramatic, beautiful and acceptable. In today’s scenario where dissemination of performing art through audio-visual media is a necessity, the expressions and make up must change and soften to be acceptable to the audience. Otherwise the exaggeration may end up looking garish. The example of Bharatnatyam may help us understand this. In olden times when Bharatnatyam was performed on a smaller circular setting with audience sitting quite close on all three directions of the dancer, she would have to do the same action thrice in all three directions to help everyone see it clearly. Thus performances went on for hours and hours. This even continues when the stage setting changes to British theatre style where the distance between the performer and audience all sides was such, that any action in the front could be seen by audience to the left and right. It was only later that this practice was dropped and thus performance times were cut down to one third. Mohiniattam exponents have already been making endeavours in the direction of evolution. The dress and hairstyle of tilted hair bun with jasmine flowers which distinguishes it from Bharatnatam performers is a very recent development. In costume colour too, where once only white was allowed and no other colour for costume tolerated, today exponents are wearing colours for better effect. This is being done by forward thinking exponents across the classical performance board. Legendary Bharatnatyam exponent, Padamshree awardee Shreemati Leela Samson, at a recent performance had her entire troupe wearing black costumes with red or white trims. Use of such dark coulors is unusual for Bharatnatyam but has a very dramatic and enchanting effect on stage. Evolution is the essence of survival. Our classical performing arts must evolve not just in costumes and accessories, but also in terms of theme, language, music and presentation to ensure that their beauty and richness is not restricted to certain pockets but spreads across the globe to a wider audience of lovers of art and culture. 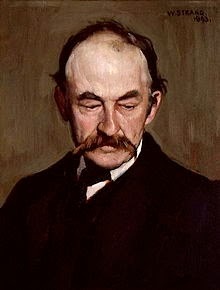 Thomas Hardy (1840 – 1928) was an English novelist and poet, usually remembered in that order, although he himself preferred his poetry to his prose. Hardy's family was not financially stable and could not afford a University education for him although he had the qualities to excel at academia. His formal education ended at the age of sixteen, when he became apprenticed to James Hicks, a local architect. Hardy trained as an architect in Dorchester before moving to London in 1862; where he enrolled as a student at King's College London in the course for architecture. He won prizes from the Royal Institute of British Architects and the Architectural Association. Hardy did well for himself in London but never quite felt at home. This was because he was painfully conscious of his social inferiority in the class division and his inability to cross over this division, no matter what he did or achieved in his career. He could not come to terms with the social stratification and mentally rebelled against it. It was during this time that he became interested in social reform and the works of John Stuart Mill. He was also introduced by his Dorset friend Horace Moule to the works of Charles Fourier and Auguste Comte. Five years later, concerned about his health, he returned to Dorset and decided to dedicate himself to writing. Hardy was Victorian realist in the tradition of George Eliot. He was influenced both in his novels and in his poetry by Romanticism, especially William Wordsworth. Charles Dickens was another important influence. Like Dickens, he was highly critical of much in Victorian society, though Hardy focused more on a declining rural society. While Hardy wrote poetry throughout his life and regarded himself primarily as a poet, his first collection was not published until 1898. Initially he gained fame only as the author of novels, including Far from the Madding Crowd (1874), The Mayor of Casterbridge (1886), Tess of the d'Urbervilles (1891), and Jude the Obscure (1895). However, beginning in the 1950s Hardy has been recognised as a major poet; he had a significant influence on the Movement poets of the 1950s and 1960s, including Philip Larkin. Most of his fictional works – initially published as serials in magazines – were set in the semi-fictional region of Wessex. They explored tragic characters struggling against their passions and social circumstances. Hardy became ill with pleurisy in December 1927 and died on 11 January 1928, having dictated his final poem to his wife on his deathbed His funeral was on 16 January at Westminster Abbey, and it proved a controversial occasion because Hardy and his family and friends had wished for his body to be interred at Stinsford in the same grave as his first wife, Emma. However, his executor, Sir Sydney Carlyle Cockerell, insisted that he be placed in the abbey's famous Poets' Corner. A compromise was reached whereby his heart was buried at Stinsford with Emma, and his ashes in Poets' Corner. In order to appreciate Thomas Hardy's work fully, it is necessary to share the sensitivity of his heart, his conviction that man's happiness depends on the spirit of 'loving kindness' and his sense of history and transience of life. Ernest Miller Hemingway (1899 – 1961) was raised in Oak Park, Illinois in a conservative family atmosphere. After high school he reported for a few months for The Kansas City Star. In 1918, Hemingway went overseas to serve in World War I as an ambulance driver in the Italian Army. For his service, he was awarded the Italian Silver Medal of Bravery, but soon sustained injuries that landed him in a hospital in Milan. There he met a nurse named Agnes von Kurowsky, who soon accepted his proposal of marriage, but later left him for another man. This devastated the young writer but provided fodder for his works "A Very Short Story" and, more famously, A Farewell to Arms. Still nursing his injury and recovering from the brutalities of war at the young age of 20, he returned to the United States and spent time in northern Michigan before taking a job at the Toronto Star. It was in Chicago that Hemingway met Hadley Richardson, the woman who would become his first wife. The couple married and quickly moved to Paris, where Hemingway worked as a foreign correspondent for the Star. In Paris, Hemingway soon became a key part of what Gertrude Stein would famously call "The Lost Generation." 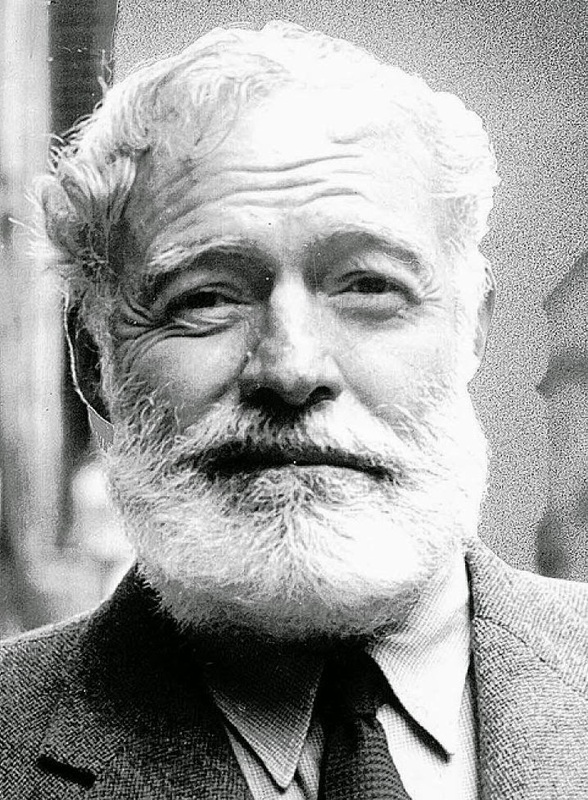 With Stein as his mentor, Hemingway made the acquaintance of many of the great writers and artists of his generation, such as F. Scott Fitzgerald, Ezra Pound, Pablo Picasso and James Joyce. In 1923, Hemingway and Hadley had a son, John Hadley Nicanor Hemingway. By this time the writer had also begun frequenting the famous Festival of San Fermin in Pamplona, Spain. In 1925, the couple, joining a group of British and American expatriates, took a trip to the festival that would later provided the basis of Hemingway's first novel, The Sun Also Rises. The novel is widely considered Hemingway's greatest work, artfully examining the postwar disillusionment of his generation. Soon after the publication of The Sun Also Rises, Hemingway and Hadley divorced, due in part to his affair with a woman named Pauline Pfeiffer, who would become Hemingway's second wife shortly after his divorce from Hadley was finalized. The author continued to work on his book of short stories, Men Without Women. Soon, Pauline became pregnant and the couple decided to move back to America. After the birth of their son Patrick Hemingway in 1928, they settled in Key West, Florida, but summered in Wyoming. During this time, Hemingway finished his celebrated World War I novel A Farewell to Arms, securing his lasting place in the literary canon. When he wasn't writing, Hemingway spent much of the 1930s chasing adventure: big-game hunting in Africa, bullfighting in Spain, deep-sea fishing in Florida. While reporting on the Spanish Civil War in 1937, Hemingway met a fellow war correspondent named Martha Gellhorn and gathered material for his next novel, For Whom the Bell Tolls, which would eventually be nominated for the Pulitzer Prize. Almost predictably, his marriage to Pauline Pfeiffer deteriorated and the couple divorced. Gellhorn and Hemingway married soon after and purchased a farm near Havana, Cuba, which would serve as their winter residence. When the United States entered World War II in 1941, Hemingway served as a correspondent and was present at several of the war's key moments, including the D-Day landing. Toward the end of the war, Hemingway met another war correspondent, Mary Welsh, whom he would later marry after divorcing Martha Gellhorn. In 1951, Hemingway wrote The Old Man and the Sea, which would become perhaps his most famous book, finally winning him the Pulitzer Prize he had long been denied. The author continued his forays into Africa and sustained several injuries during his adventures, even surviving multiple plane crashes. In 1954, he won the Nobel Prize in Literature. Even at this peak of his literary career, though, the burly Hemingway's body and mind were beginning to betray him. Recovering from various old injuries in Cuba, Hemingway suffered from depression and was treated for numerous conditions such as high blood pressure and liver disease. He wrote A Moveable Feast, a memoir of his years in Paris, and retired permanently to Idaho. There he continued to battle with deteriorating mental and physical health.Early on the morning of July 2, 1961, Ernest Hemingway committed suicide in his Ketchum home. 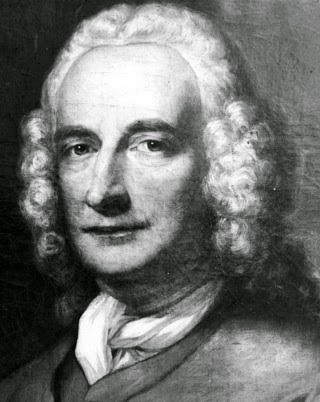 Henry Fielding (1707- 1754) was an English novelist and dramatist who wrote in satirical tones and comic style on serious and deep subjects like justice, truth and dignity. The aim of all his writings was educating people and making them see themselves, people around them and society at large from a more honest perspective. Aside from his literary achievements, he was a magistrate and used his authority to set up London’s first police force, the Bow Street Runners. Fielding was born at Sharpham Park, Glastonbury, the eldest son of General Edward Fielding. He went to Eton college and later entered University at Leiden to study law. He was forced to leave mid-way due to lack of money and he returned to London, writing for theater where he got success and recognition. Some of his works were directly critical of the Walpole government and the Theater Licensing Act, banning political satires, was a direct response to his activities. Thereafter Fielding retired from theater and resumed a career in law to support his wife and children, going on to become a barrister. Fielding never stopped writing political satires and satires of current arts and letters. He wrote for periodicals often under the pseudonym of Captain Hercules Vinegar. Almost by accident, in anger at the success of Samuel Richardson’s Pamela, or Virtue Rewarded he wrote his first novel Shamela, an anonymous satirical parody. He followed up with Joseph Andrews, an original work dealing with Pamela’s brother Joseph. During 1743, he produced three volumes of miscellanies, including Jonathan Wild the Great, a tale of a highway robber whom Fielding portrayed as villain and likened to Walpole. His best known work is Tom Jones, written in 1745. His last known writing is the diary he kept on his voyage from England to Portugal which was published posthumously under the title of Journal of a voyage to Lisbon, one of the most readable travel books ever written. She had a long and adventurous life, even though she described it as ‘one great big joke, a dance that walked and a song that spoke’. At different points in her life she was a dancer, a singer, a film and television producer, television director, actor, playwright, actress and professor, but she was immortalised by her poetry and seven autobiographies which were all bestsellers. Maya Angelou did not live for awards but she had several famous and prestigious ones coming her way including the Grammy. She did not have a regular education but received over 30 honorary doctoral degrees and taught at universities across the USA. In February 2011, she was awarded the ‘Presidential Medal of Freedom’, America’s highest civilian honour. Angelou is remembered as a remarkable Renaissance woman who became the voice of millions of women across the globe. Her first autobiography I Know Why the Caged Bird Sings (1969) is a coming-of-age story that illustrates how strength of character and a love of literature can help overcome racism and trauma. The book begins when three-year-old Maya and her older brother are sent to Stamps, Arkansas, to live with their grandmother and ends when Maya becomes a mother at the age of 16. In the course of Caged Bird, Maya transforms from a victim of racism with an inferiority complex into a self-possessed, dignified young woman capable of responding to prejudice. Six other autobiographies followed, each beginning from where the last one had left off. In 1993 Angelou gave a moving reading of her poem "On the Pulse of Morning" at Bill Clinton's presidential inauguration, an occasion that gave her wide recognition. The poem's themes are change, inclusion, responsibility, and role of both the President and the citizenry in establishing economic security. Her poems usually cover themes of humanity, peace and the ability within each individual to be humane and empathetic. Sample the following one that talks of hope and faith that one day humanity will wake up and see its folly in the hell that it has created on earth through violence, war and violation of nature’s laws. That day will come as long as believers continue to cherish the dream and work for it. 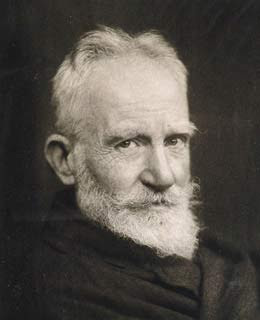 George Bernard Shaw was born to an Irish civil servant in 1856, in Dublin. His dislike for any organizes training kept him safely away from regular education. After working in an estate agent's office for a while he moved to London in 1876, where he established himself as a leading music and theatre critic. His articles were considered highly articulate and admirable. In the eighties and nineties composed many pamphlets and speeches for the Fabian Society (a British intellectual socialist movement, whose purpose is to advance the principles of social democracy via gradual reforms, rather than revolutionary, means) of which he became an active and prominent member. He spoke tirelessly for causes such as gaining equal rights for men and women, alleviating abuses of the working class, rescinding private ownership of productive land, and promoting healthy lifestyles. Although Shaw began his literary career as a journalist and novelist, his main talent was for drama. He is most well remembered for the 60 plays that he penned. Nearly all his writings deal sternly with prevailing social problems, but have a vein of comedy to make their stark themes more palatable. Shaw examined education, marriage, religion, government, health care and class privilege. He was most angered by what he perceived as the exploitation of the working class, and most of his writings censure that abuse. His earliest dramas were called appropriately Plays Pleasant and Unpleasant (1898). Among these, Widower's Houses and Mrs. Warren's Profession savagely attack social hypocrisy, while in plays such as Arms and the Man and The Man of Destiny the tone is relatively calm but no less critical. Shaw's radical rationalism, his utter disregard of conventions, his keen dialectic interest and verbal wit often turn the stage into a forum of ideas. Other important plays by Shaw are Caesar and Cleopatra (1901), a historical play filled with allusions to modern times, and Androcles and the Lion (1912), in which he exercised a kind of retrospective history and from modern movements drew deductions for the Christian era. Candida (1898), with social attitudes toward relationships as objects of his satire, and Pygmalion (1912), a witty study of phonetics as well as a clever treatment of middle-class morality and class distinction, proved some of Shaw's greatest successes on the stage. Shaw married Charlotte Payne-Townshend, a fellow Fabian and they settled in Ayot St. Lawrence in a house now called Shaw's Corner. He is the only person till date, to have been awarded both a Nobel Prize for Literature (1925) and an Oscar (1938), for his contributions to literature and for his work on the film Pygmalion, respectively. Shaw wanted to refuse his Nobel Prize outright because he had no desire for public honors, but accepted it at his wife's behest: she considered it a tribute to Ireland. He did reject the monetary award, requesting it be used to finance translation of Swedish books to English. Shaw's complete works appeared in thirty-six volumes between 1930 and 1950, the year of his death. I like to use my formal education in Law, Mass Communication, Psychology, Sociology, Literature and all my Spiritual Learnings and Leanings to see the world from as many points of view as possible in order to arrive at the ultimate truth. The ultimate truth to me is that which helps human beings live a happier, more content and more meaningful life, as individuals and collectively.